Eight Dublin men have been remanded in custody charged with offences connected to a Garda investigation into dissident republican activities. At special sittings of the Special Criminal Court yesterday, all eight were charged with membership of an unlawful organisation styling itself the Irish Republican Army, otherwise Óglaigh na hÉireann or the IRA. One of the accused was further charged with possession of ammunition. The charges follow a Garda investigation into dissident republican activity in the Dublin area. Detectives made a number of arrests at a house in Tallaght in the southwest of the city on Wednesday and in Cloghran in north County Dublin. The seven men charged solely with IRA membership are Peter Burns, 39, of Glenshane Crescent, Tallaght; Kevin Braney, 39, also of Glenshane Crescent, Tallaght; Michael Barr, 33, of Carlton Court, Poppintree, Ballymun; Brian Nick McBennett, 54, of Ard Collum Avenue, Artane; John Brock, 41, of Glenview Park, Tallaght; Declan Phelan, 31, of Lanndale Lawns, Tallaght and Desmond Christie, 49, of Liam Mellows Road, Finglas. The non-jury court heard details of arrest, charge and caution from the seven different detectives who had arrested the accused men this evening. The court heard that all but two of the men made no reply to the charge. Detective Garda Graham Dunne testified that when he put the charge to Mr Barr, he denied membership. "I'm not a member of the IRA or any illegal organisation," he replied when shown his charge sheet before the court sat. Detective Garda Nicky Conneely gave evidence that Brian Nick McBennett also denied the charge when put to him. "I am not a member," he replied when shown his charge sheet. The registrar asked each of the men to stand while he read the charge to them. None of them did so. Mr Justice Paul Butler presiding remanded all seven in custody to appear before the three-judge court again on Tuesday. At a separate special sitting, 45-year-old Stephen Hendrick of Balbutcher Drive, Ballymun was charged with IRA membership on Wednesday last. He was also charged with possession of ammunition in suspicious circumstances on the same date at Furry Park, Turnapin Great, Old Airport Road, Cloughran in Co Dublin. 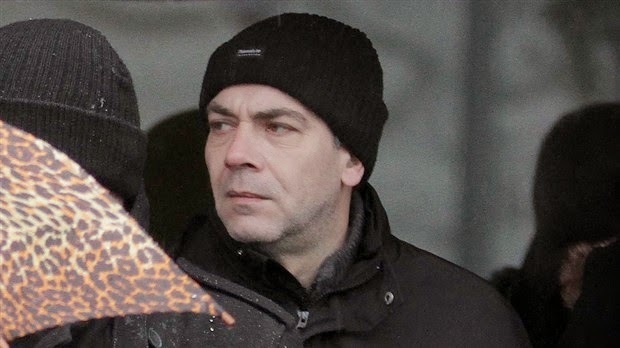 Detective Sergeant Vincent Markey testified that he believed he had committed both offences when he arrested him on Ballymun Road this afternoon. He told the non-jury court that Mr Hendrick replied "no comment" when he put the charge to him before the court sat this evening. Solicitor for the State Michael Brady confirmed that the Director of Public Prosecutions had directed that Mr Hendrick be charged with both offences before the three-judge court. Mr Justice Butler presiding agreed to deal with the case. The accused did not stand to hear the charges read out to him when asked to do so by the registrar. The registrar read out both charges, which detailed the 59 rounds of ammunition of various calibres and brands that he was accused of possessing. Mr Justice Butler granted a defence request for tapes of Mr Hendrick's Garda interviews and said that the court would grant legal aid at the next sitting if there was no objection. He remanded Mr Hendrick in custody to appear again on Wednesday.